Thank you for your replies, but the list itself is clearly just a joke. Don't take it too seriously! Maybe you have a few funny suggestions of your own to add to this list? 1) You pity the fool with an automatic transmission restriction. 2) Like a Bald Eagle, you soar independent and free, and it amuses you your Driver Manager thinks he’s your boss. 3) You’ve visited every state in this Great Country. All 48 of ‘em. 4) Of the 48 states that constitute this Great Country, your favorite one is Canada in the Spring. 5) Your hands free device is part of your ear now. 6) Without you America stops, which makes you the greatest American Hero ever, except for, maybe, veterans. 7) Of course if you’re both a veteran AND a trucker, you’ll write it all over your tractor so we commoners know to throw rose petals before your every step. 8) You own a camouflage wallet, flashlight, phone charger, steering wheel cover, clothes (duh), etc. But you’re too busy trucking to actually hunt. Except, of course, for that monster buck you bagged in that arcade game that’s in every fifth truck stop in the Nation. 9) You feel morally obligated to tell total strangers how much money you make. 10) You have a variegated taste in music. From Classic Country to Country Rock, and everything in between, you leave no musical stone unturned. 13) Instead of picking a lane at a full fuel island, you stop a couple dozen yards back, because you think that means you’re in line for all of them. And you lose your sh*t when I drive straight past you, and pick a lane for myself. 14) Ahh, the fuel island, the perfect place for lunch and a shower. 15) You believe one shower every three days is perfectly acceptable. And you’ll make fun of me for sometimes taking two a day. You might even make a ridiculous argument that it’s bad for my skin or something. 16) You pooped in your truck at least once. You’d deny it even under torture. But I know what you did, you know what you did, and everyone on this forum knows what you did. 17) You wonder what this “Fitness Room” is. The walls seem to be made as the same material as your windshield, but inside, unusual machinery of possibly extraterrestrial origin. It must certainly be dangerous; you’ve never seen anybody in there. 18) The three things you hate the most: 3) DOT, 2) electronic logs, 1) New York City (and everyone living there). 19) The three things you love the most: 3) your family, 2) God, 1) trucks (especially 18-speed Peterbilts). 20) And if there’s anything you do love more than trucks, it’s ‘Merica! You are the original Gadsden flag flying, Old Glory saluting, veteran thanking, apple pie munching, 4th of July celebrating, freedom loving, communism despising, Republican voting, deer hunting, gun toting, Bible clinging, Jesus worshiping, God fearing, All-American Patriot. Yet, sometimes, you miss your native Eastern Europe/Sub-Saharan Africa/or India. So are you the real deal? Have I missed any signs? I’d love to read some additions to this list from you guys! Thanks for reading! Plus, at least theoretically, reefer trailers are more subject to rollovers. My greatest fear in trucking. That 3,000 lb reefer unit makes the trailer even more top heavy than a regular trailer. Thank you, G-Town, for the additional info on that point. It's reassuring to know side and floor panels are also heavier. I am removing this one from my list of concerns. An instructor at CRE's school told us they were more at risk of a rollover because of the reefer, but that's all he said. Not trying to tell you what to do, but the overwhelming consensus is to stick with your first employer for one full year. A really bad scenario is if you leave CRE, have a contract with them that you have breached, and you have another minor scuff with your new employer... At that point, there is an increased risk of termination putting you in the unenviable position of looking for a third job in less than a year with two preventable accidents on your DAC. At that point your future career is seriously compromised. CRE expects rookies to have minor fender benders during your first 6-12 months. "Hypothetical Local Company"; not as forgiving. Oh yeah, I'm staying the length of the contract 100% . And with CRE it's only 9 months total. That's part of the reason I picked them. I did say I'm already tired of OTR, but I'll stick it out. Thank you everyone for your advice and reassurance a relatively minor accident (there's no such thing as a "minor" accident but still...) isn't a career killer. And sorry for my belated reply. What Is The DAC Report? Thank you, Brett. This website is great! Out of curiosity, why are you racing for the door after just three months with CRE? Are you even out of Phase II yet? Hello Dan, I'm still second seat, but can upgrade to first as soon as I complete my modules which I could do today if I wanted to. I don't want to because I might have to mentor an even newer driver and I'm not that good myself. 1) CRE runs almost exclusively reefer which means long waiting times at shippers/ receivers. I hear dry van is a lot better that way, plus you don't have to worry about the reefer running out of fuel (you can't just fill the tank up; you have to get it primed) or breaking down. Every time that happens you have to call CRE's road service, go to Thermo King, call road service again, wait til they call Thermo King, wait til technician gets there if they're closed, etc. Not fun. Also, since you transport food, you have to wash out the trailer very often which means driving off route, unpaid, sometimes many miles. Plus, at least theoretically, reefer trailers are more subject to rollovers. My greatest fear in trucking. That 3,000 lb reefer unit makes the trailer even more top heavy than a regular trailer. 2) CRE has very few dedicated fleet jobs in my area. I'm just out of range their Colton, CA yard. 3) They almost only run teams. By the time I get those 9 to 12 months experience I'll be confident enough to go solo. 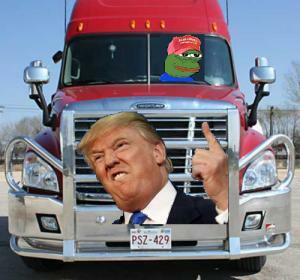 4) They are probably the lowest paying truck company in America. Yes, you'll make more once you have the experience, but something tells me you'll make even more somewhere else. 5) Last but not least, I need a three month break from OTR. I'm not going to be rude or burn any bridges or anything, but I do feel like this company is not a great fit for me. Thank You, Old School, for your kind reply. I hadn't even heard of a DAC report until now. I really do have a lot to learn! I'm a rookie driver with CR England. I touched trailers in a parking lot a couple weeks ago. There was minimal of damage. No injuries. No citations. A police report was filed as a non reportable accident. I've been driving about three months now and am looking forward to leaving CRE as soon as my contract expires in December. I have a stupid question: If it's "non reportable" when I apply to another company they won't be able to see it on my driving record and therefore I could omit it from my application, right? I'll probably disclose it anyway. I'm ashamed to even ask this question. But I'll really hate it if a less than $500 accident will ruin my chances with other companies. Just Got A DL - Will Company Sponsored Training Programs Have Me? Thank you for your reply, Pete, and thank you for the links. I will be calling up some companies as soon as I get a CDL permit from my state (hopefully this week) that way they know I'm serious about becoming a truck driver. Thanks again. My name is Julian, I'm 32 years old, and I got my driver's license in early January. I would like to join a company sponsored training program as soon as I save some money (which at my menial minimum wage job will take another couple of months). So if I apply in late April/ early May I will have barely held a DL for 4 months. I used Trucking Truth's guide to company sponsored training programs, and the company websites themselves so I know many companies will require you to have held a DL for a year or more to even consider training you, but some (Prime, Knight, XPO...) don't seem to specify. I assume that means time doesn't matter. Can anyone confirm or deny this?